Our very own bar and cafe connected to the hostel. You´ll find some of the best pizzas and homemade pastas in Cartagena delivered right to your room. Our drinks are very well priced at 2 mojitos, cuba libres or caipirinhas for only 16000. That´s a great deal and it´s available all day. Beers are only 3500 for a Club Colombia and 3000 for an Aguila. A Small but very popular backpacker bar just outside the hostel on the right of the door. Happy hour is between 7pm-9pm, has killer Mojitos & Caipirinha for 20 000 pesos each and beers are $4,500. 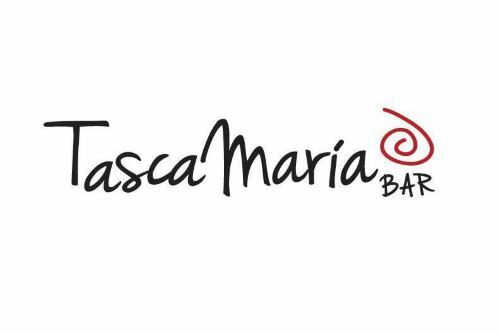 Tasca has live music some Monday and Wednesday nights. Sleep soundly at Mamallena, party there! Over the road, head up the stairs to the bar. Wednesday night is party night when they open the bar on the roof terrace as well and this place gets very busy. It’s 10,000COP entry on Wednesday nights only (great live music) and a pool table. It Gets pretty crowded and expect a wait for the bar, to get in, and to get to the roof top terrace. Most other nights are pretty quiet with just a few people in the bar. (Calle del Espiritu Santo) Located in a community centre, this place has had some problems so we´re not sure what they´re up to from night to night. If it is open it has a great beer garden atmosphere, sitting in the garden under the banana trees. 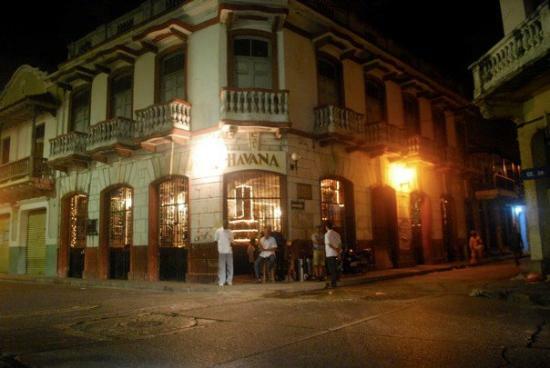 Calle Arsenal, Getsemani; Entrance fee 15,000COP, drinks around 8,000COP; 9pm-4am) MASSIVE BAR/ NIGHT CLUB with a wide range of music, live dancers on the bar and has very flirty atmosphere. Terrible décor! Guys, if you notice girls being very friendly there is a fair chance it´s not for your good looks and boyish charm! Walk out of the hostel and make a right, follow the road all the way down to the Centro de Convenciones and make a left, its on the second block on your left hand side. Calle Media Luna. Turn right out of the hostel and it´s the next corner on the left; 10,000COP entrance & cocktails around 12,000/15,000COP but very strong) Cartagenas most famous Salsa bar, and it´s most popular, usually very busy on Fridays and Saturdays. Clock Tower, Old City; 11am-2am We recommend a visit to this famous salsa bar, in the square behind the clock tower. Beers are only $3,000 and you can sit out in the square watching the locals dance. Look out for Fidel, you´ll recognize him from the many pictures inside. Head to the city entrance, go through the clock tower and turn left. Hotel Armeria There is a smart but quiet roof bar on the terrace on top of this hotel. $5,000 a beer is justified by the view. Ask at the door to go upstairs. and they might let you in if they feel like it. Turn left from the hostel and go 2 blocks to the street just before the bridge, turn right and it´s on the next main corner on the right. Hard Rock Café Next to Fidel´s, drinks are not cheap here, occasional live music and free wifi. Behind the Clock Tower, basically above Donde Fidel and around the corner. 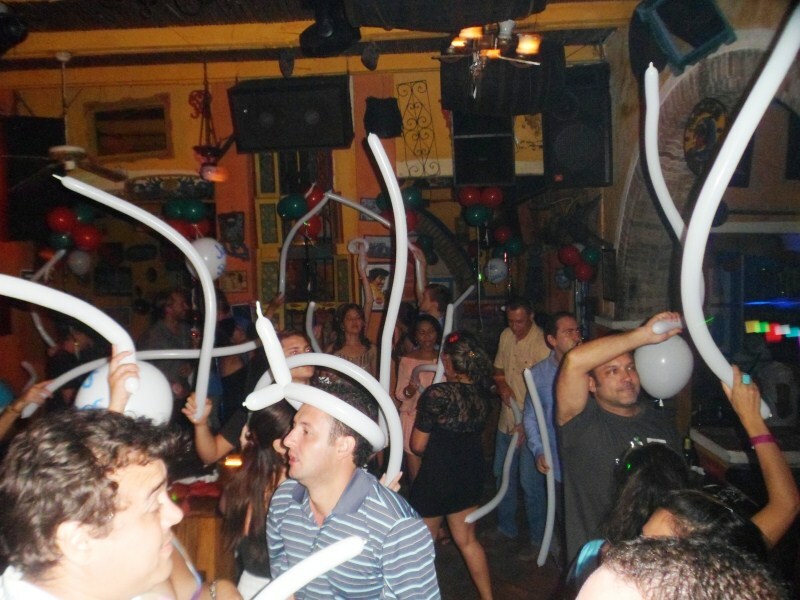 Tu Candela (Phone #664 8787; behind the Clock Tower, Old City; cover 12,000COP, beers around 10000; 8pm-4am) Music ranges from regaeton, vallenato, meringue, and salsa. Décor, atmosphere and décor are all great. It has huge plasma screens playing music videos and it’s packed on weekends. Again, if a girl is paying you a lot of attention and you think she´s too good for you, it won´t matter, if you know what we mean……. 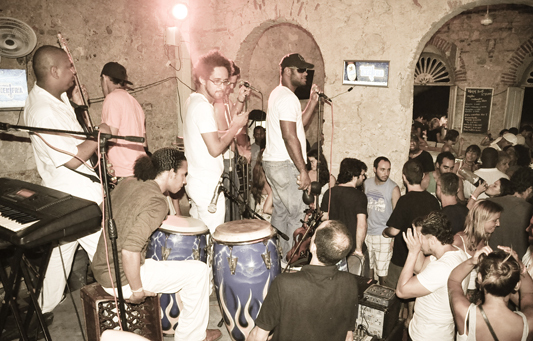 Quiebra Canto (Phone #664 1372; Camellon de los Martines, Getsemani; 7pm-4am; Tue- Sat) right off of the Media Luna, Quiebra Canto is a nice free entrance salsa bar on a second floor that over looks the entrance to the old city and the Pegasos. Some times has live music and there’s tons of street food venders right out front for the late night munchies. Turn right from the hostel and about two blocks up on the left, in front of the park. Fragma: club This is where all the cool people go. One of Cartagena´s best clubs, Fragma has 3 different music and dance areas, with something to suit all tastes. It´s not cheap and make sure you dress up, your average backpacker gear isn´t going to get you through the door. 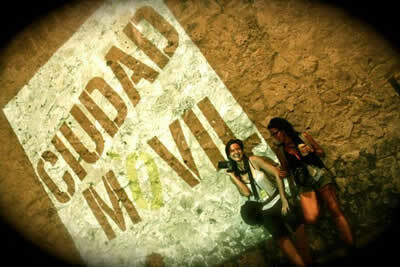 It´s on the same street as Cafe del Mar, in front of the wall and up just a little bit. Elektra Small club with electronic music, interesting place to see, usually a large selection of hookers…. It´s in the old centre so ask around, everyone knows where it is but it´s hard to explain. Cafe del Mar (Phone #664 6513; Behind Santo Domingo, Old City; Drinks 18,000/16,000COP; 5pm-Very Very Late) A popular place on top of the city walls looking out over the sea. 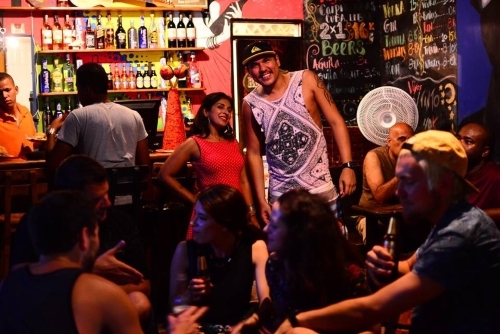 Great music at night with live dancers, comfortable couches or bar tables with stools, save money by staying outside and buying drinks from the street sellers instead of going into the cafe area and still enjoy the music. It is also a great place to watch the sunset from. It´s on the otherside of the centre, right on the wall. Boca Grande & La Boquilla beach bars Although few and far between, there are a few good beach bars along the coast, from Boca Grande in the south to La Boquilla in the north. There is a good one on the road back from La Boquilla which is a great place to stop for a break after a bike trip to the beaches there. Boca Grande has a large selection of beach cafes during the day and a whole bunch along their main street. Most of the bars on the beach aren’t open at night time but it’s a great place to grab some beers and just go and sit on the beach. It´s safe from crime but don’t go swimming at night time though as you’ll have problems with the cops. Theres also a section of Boca Grande which is kinda like Miami, bars, restaurants and cafes. Not a bad spot to hang out for awhile. Bar el 21 This cocktail bar, on the 21st floor of Hotel Capilla del Mar in Boca Grande, has good views of Boca Grande and the old town. The glass windows reflect a bit too much light from inside the bar, so if heading there after dark, we prefer sitting in the open air smoking area. Prices are not cheap. La Castellana This a shopping centre located 20 minutes and 10000 pesos by taxi from the city centre. The area has a bunch of bars and clubs spread along the main road that can be worth a night out. Right near the shopping centre there is a liquor store where people just hang around the front and drink. Walking back from there is where you´ll find the bars and clubs, towards the city. Just don´t expect this area to be any cheaper than the centre though.